Can we welcome an unknown that stretches, terrified, into every direction? Is it safe to grab the shrivelled, mysterious hand that reaches out to us from darkness? A trembling voice speaks the answer clearly. The Celestial Twin. U.F.O.F. 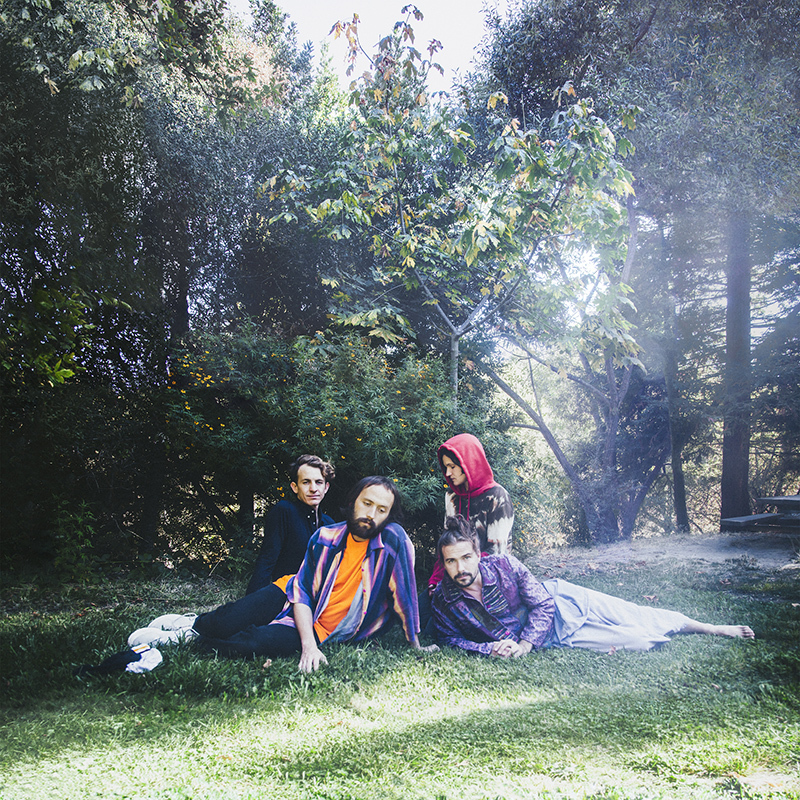 U.F.O.F., F standing for ‘Friend’, is the name of the highly anticipated third record by Big Thief, set to be released by 4AD later this year. 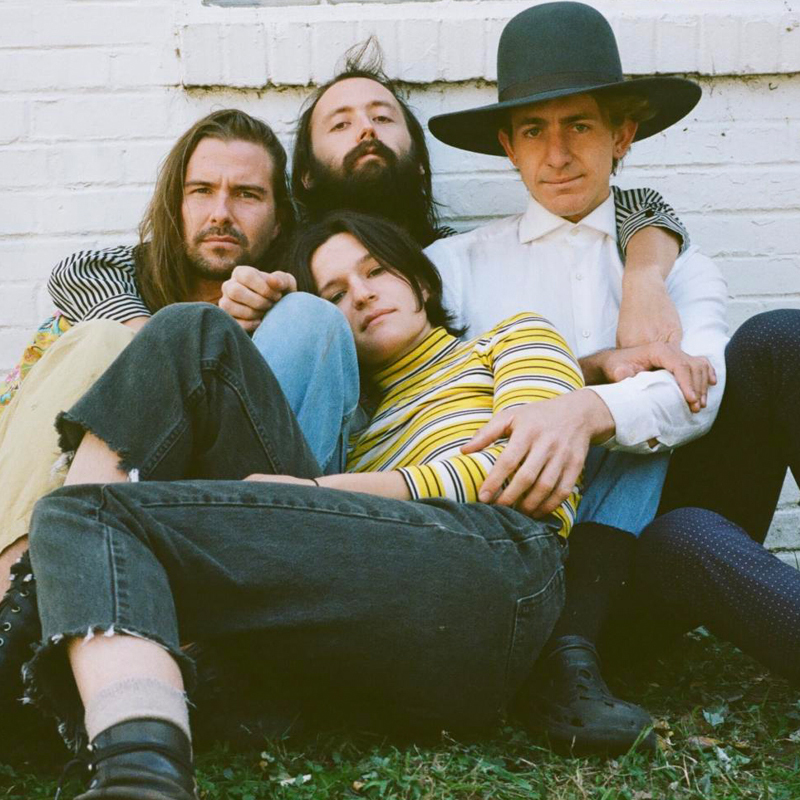 The New York-based band, featuring Adrianne Lenker (guitar, vocals), Buck Meek (guitar), Max Oleartchik (bass), and James Krivchenia (drums), has spent the last 4 years on an incessant world tour, winning the devotion of an enthusiastic and rapidly expanding audience. Their songs represent an emotional bravery and realness that weaves intimate relationships with the listener, a phenomenon that has made them one of the most widely-respected bands of the current era. Their first two back-to-back releases, Masterpiece (2016) and Capacity (2017), have been analysed, wept to, danced to, critically applauded, imitated, hummed idly, and shouted out loud. They have soundtracked crowded restaurants, difficult conversations, cowboy bars, yoga classes, night drives, and lonely bedrooms. 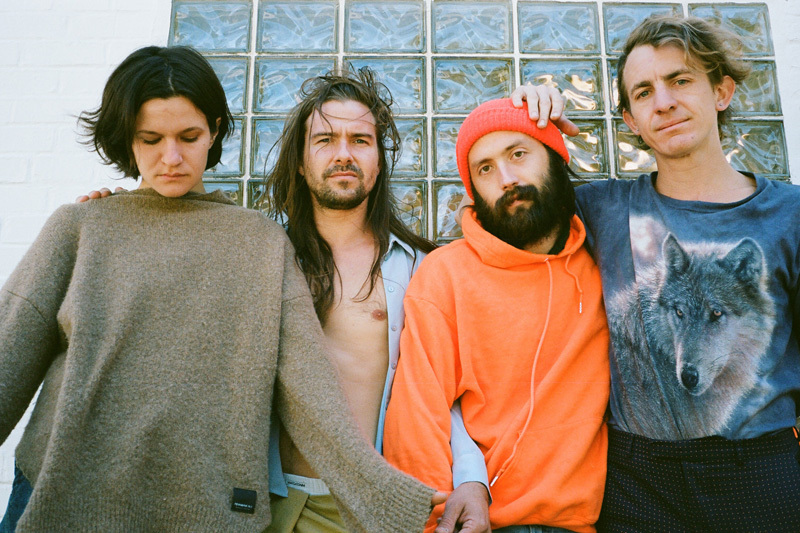 In 2019, the members of Big Thief are more deeply bonded than ever before. Their lives have become completely intertwined. Perpetual motion, nightly performance and struggles of the road have led them to develop their own connective language. They wake up and run together each morning; they intuit songs only sung for each other. Perhaps the best Big Thief tune you will never hear is the backstage classic, “I know what you mean. It’s a beautiful thing.” The spirit has never been stronger and U.F.O.F. 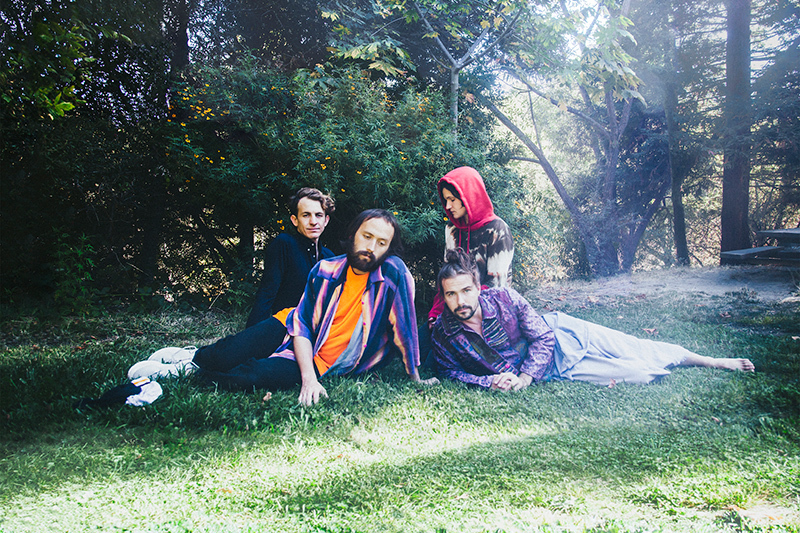 feels, to Big Thief, like their first record as a fully realized band. U.F.O.F. was recorded in rural western Washington at Bear Creek Studios. In a large cabin-like room, the band set up their gear to track live with engineer Dom Monks and producer Andrew Sarlo, who was also behind their previous albums. Having already lived these songs on tour, they were relaxed and ready to experiment. The raw material came quickly. Some songs, like ‘Cattails’—written only hours before recording—stretched out instantly, first take, vocals and all. Others were explored in search of perfected moments of dynamic feedback and spiritual, rhythmic togetherness. 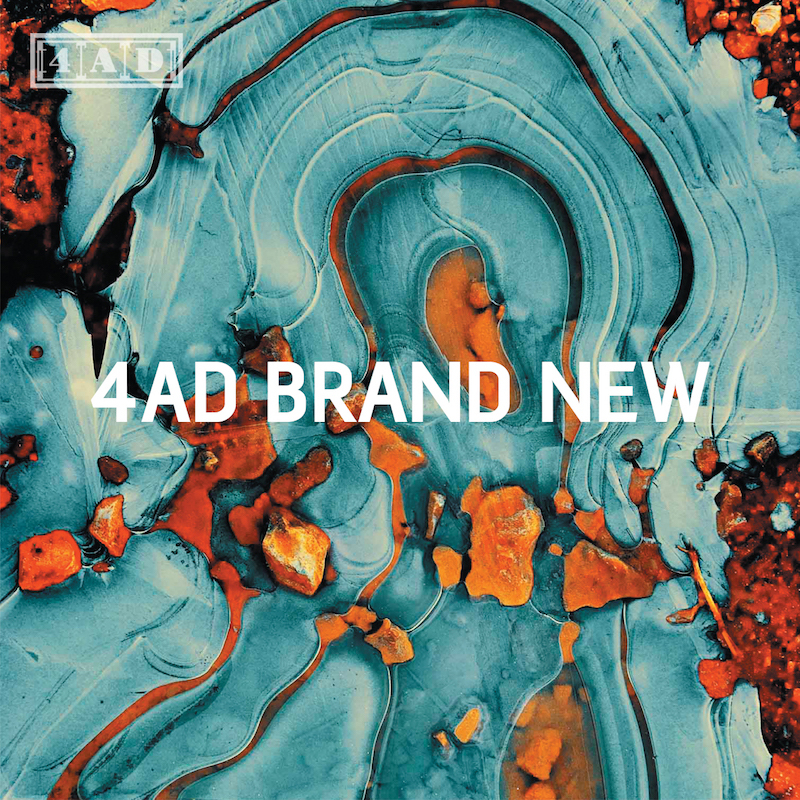 A careful New Age sprinkle of mystical textures and stabs was added and kept in the mix only when all agreed that each element had become absolutely crucial to the tune. The completed palette feels classic, upfront and honest, with an occasional, welcome glimpse into the magic box. U.F.O.F. lifts the listener, slowly, into a delicate, celestial mystery, each member of the band adding their own visceral mastery to its skyscape. Adrianne Lenker’s voice finds new resting places, layered like a cloud above itself on album opener ‘Contact’ or crooning low through thick grass on ‘Betsy’. Her finger-picked guitar chords evolve and extend into warming harmony. Her leads beam passion and pain. Buck Meek’s exploratory notes and avant-garde textures slither to the song’s subconscious narrative, while James Krivchenia’s relaxed tempo and snare drum ghost notes possess your head into a steady bob. Max Oleartchik’s bass guitar playing is elusive and rhythmic, either crouching undetected or ripping a quick one for the people. When his bass goes missing from the song ‘Cattails,’ imagine him levitating above the tune in quiet meditation, waiting for that perfect moment to slide back into the mix. The moment doesn’t come till halfway through the next song. Lyrically, U.F.O.F. is a dream in the dark. Characters and scenery interact outside of time. Names of mystery women appear, then disappear. Cruelties flash. Pronouns meld. There is a darkness here, but it’s not one to be feared. “Making friends with the unknown… All my songs are about this,” says Lenker; “If the nature of life is change and impermanence, I’d rather be uncomfortably awake in that truth than lost in denial.” Every song here casts a shadow, and the direction of this shadow reflects its light source. On ‘Orange,’ we see a woman lost in despair, but it is in recognition of this despair that she is truly loved. In ‘Terminal Paradise,’ death is imminent. Death is a flower; death is beautiful. On ‘Century,’ all of the confusion of a moment leads to a simple truth that “We have the same power”. If song writers are spelunkers of the unrevealed, then Lenker is one of the bravest working today. This is courageous music. When the album’s final number drifts away into droning, alien invitations, the power to look within our own selves has been fully transmuted. The dreamer awakes and sees for a moment a vibrating figure disappear from the corner of the bedroom. The door is open and future music awaits. It’s morning. Goodbye alien.